As Hyundai Elevator, we consider all factors that affect the environment in our production to legate a greener future. We understand that our dream of a better world can only materialize on a healthy planet. To protect life in every respect, we focus on developing green technologies that cultivate the relationship between human and nature as much as functionality and efficiency. We use biotechnological and environment friendly materials while implementing energy saving technologies in all stages of production (development, production, installation and demolition). We are the first elevator company to receive the A class product certificate in ultra-speed elevator category. The special LOWATT technology that our green elevators operate on, save energy up to 60% by recycling the energy used for the motion of the elevator to be utilized within the building for various purposes. 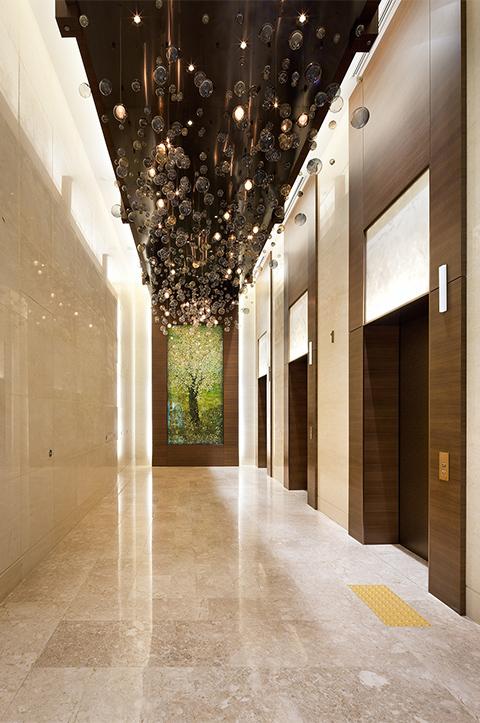 The elevators are equipped with energy saving LED lights. They deliver maximum performance with minimal oil and energy consumption. Our budget and environment friendly elevators also provide ultimate comfort by reducing noise and vibration to a minimum.